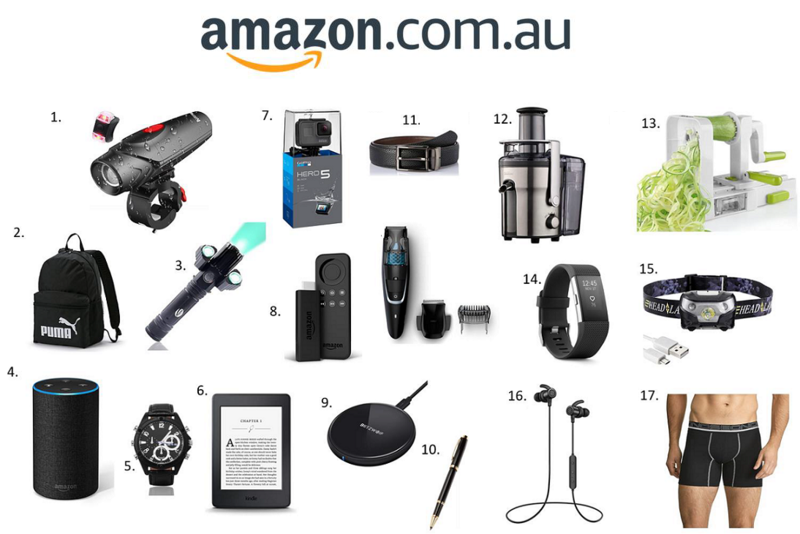 While grooming products and clothing items rank high on the list of what we’re thinking of buying Dad for Father’s Day this year, Aussie Dads are actually more likely to want consumer electronics or tools, according Amazon’s new Father’s Day research. An independent survey of more than 1,200 Australians¹ shows that 1 in 2 Aussie Dads feel that celebrating Father’s Day is important with 3 in 4 (75%) Australians celebrating either as Dads themselves or in honour of their Dad or other Dads. A large number of Australians who celebrate Father’s Day (76%) will celebrate with a meal or gathering out or at home, while 60% will buy a gift. Amazon announced this week that customers can now buy Amazon Gift Cards in select brick and mortar retailers across Australia including Australia Post, 7-Eleven, BP and United Petroleum, among others. Customers can also buy digital eGift Cards available on Amazon.com.au. 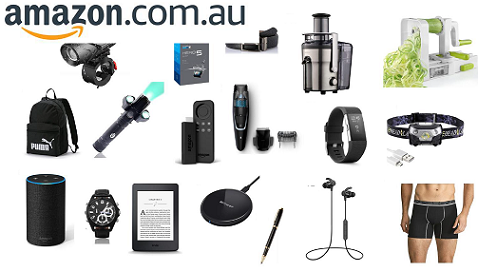 Just in time for Father’s Day, Amazon has also introduced Wish Lists to its Australian website, so that Dads across the country can let their kids know the products they have their eye on. According to the research, both gift buyers and dads are on the same page in terms of what to get Dad for Father’s Day, with the most sought after item being gift cards. However, gift cards may be the only thing dads and kids agree on. Beyond gift cards, those family members buying the gifts are likely to buy products to help spruce up their dad’s appearance, with clothes and grooming products ranking high on the list. But, when men where asked what they would really like to receive as a present this year, Dads are thinking about enjoying their down time, with consumer electronics, books, and sportswear all appearing in the top ten gifts list. “Father’s Day is clearly important to dads across the country and, with three young girls at home, I imagine I will be among the Dads receiving at least one homemade gift and hopefully something from my Amazon Wish List this year,” said Rocco Braeuniger, Country Manager of Amazon Australia. 1. AUGYMER Bike Light (Amazon Prime eligible) – $25.99 – Make sure Dad stays safe on his next mountain bike adventure with a bright and reliable light to guide the way. Additionally, featuring a long battery life, this is the perfect companion for Dad’s next adventure. 2. PUMA Unisex Phase Backpack (Amazon Prime eligible) – $32.00 – With a 22L capacity and multiple storage compartments, this is the perfect backpack to help Dad carry everything he needs for his next adventure. 3. AUSINX Led Flashlight (Amazon Prime eligible) – $16.99 – Lightweight, water-resistant and with a 6-8 hours of battery life, this flashlight is the ultimate camping companion. 4. Amazon Echo 2nd Generation (Amazon Prime eligible) – $149.00 – Connect the Echo to Alexa, making it easy for Dad to play music, make calls, set alarms, check his calendar and much more. 5. Hidden Spy Camera Watch – KAPOSEV 1080P HD (Amazon Prime eligible) – $49.99 – Not only boasting a stylish design and functionality of a watch but their piece also encompasses photography and video and voice recording technology. Perfect for any Dad that has a little 007 in him! 6. Kindle Paperwhite 6” E-Reader (Amazon Prime eligible) – $179.00 – Help Dad get through his new favourite Stephen King novel with this super-portable, high-res and adjustable Kindle. 7. GoPro HERO5 Black (Amazon Prime eligible) – $347.00 – The ultimate tech piece to capture everything on video, from the mundane to the exhilarating. Lightweight and super portable, any Dad would love this new toy. 8. Fire TV Stick (Amazon Prime eligible) – $69.00 – Providing Dad with easy access to content from Prime Video, Netflix, YouTube and over 4,000 apps and games, he couldn’t love a gadget more! 9. BlitzWolf Wireless Charging Pad (Amazon Prime eligible) – $19.99 – everyone needs charge and this wireless charger is perfect for every Dad. Sleek and minimal on their work desk or bedside table, this charging pad is highly efficient, charging up to 1.4X faster than other wireless chargers, meaning Dad can be on the go again sooner. 10. Parker IM Black Gold Trim Rollerball Pen (Amazon Prime eligible) – $40.63 – You can never go wrong with a nice pen! 11. Van Heusen Men’s Textured Reversible Belt “32 (Amazon Prime eligible) – $29.98 – Every Dad can always do with a nice belt and since this one is reversible it will go with all his outfits; stylish and practical! 12. Sunbeam Double Sieve Juicer Pro (Amazon Prime eligible) – $119.20 – encourage Dad to keep up his fruit and vegie intake with this pro juicer from Sunbeam. You could also use it to treat him to a fresh juice with breakfast in bed on Father’s Day! 13. Vegetable Spiralizer (Amazon Prime eligible) – $36.99 – Create whichever shape spiralized vegetables you like with this 5-blade spiraliser machine. This is perfect for any Dad that is keen to create low carb, paleo or gluten-free meals. 14. Fitbit Charge 2 small, black/silver (Amazon Prime eligible) – $147.00 – Encourage Dad to keep up his daily steps and keep active with the ultimate fit-Dad accessory! 15. Seacue LED Rechargable Headlamp (Amazon Prime eligible) – $16.99 – Dad will love that he’s able to light up the night and see where he is going on his next night run. 16. SoundPEATS Wireless Earbuds (Amazon Prime eligible) – $35.99 – Give Dad high fidelity stereoquality sound on his next run, without being hampered in by wires and connection cords. With up to 8 hours of talk/play time these are perfect for the Dad that always needs to be moving. 17. Bonds Men’s Underwear Active Max Mid Length Trunk, Large (Amazon Prime eligible) – $20.27 – A classic Father’s Day gift, surely Dad would miss it if he didn’t receive his new trunks this year! 1. GfK surveyed 1295 18-60 year old Australians, nationally representative by age, gender, and region; with those who celebrate Father’s Day as a subset. Respondents from an online consumer research panel participated in a 3-minute online survey between 1st – 2nd August 2018 about if and how they celebrated Father’s Day.